This #ExpoPresents workshop holds a special place in our hearts because of our longstanding relationship with WriteGirl—we’ve partnered in their mentoring process and published pieces by WriteGirl mentees both as Exposition Review and during our Southern California Review days. WriteGirl’s mission to empower girls and young women to express themselves through writing resonates strongly with us here at Expo, where the majority of our editorial board is made up of women. We’re also huge fans of The Hatchery, a co-working space that caters to writers in Los Angeles. Their membership doesn’t just cover an Insta-worthy writing environment, complete with Deadline Rooms where you can write in complete silence (and darkness, if you want it! ), but also provides workshops, classes, and events. The Hatchery is more than just a space to write, it’s a space that nourishes a vibrant literary community. Our Share Your Voice! workshop is the natural combination of mentorship and community. 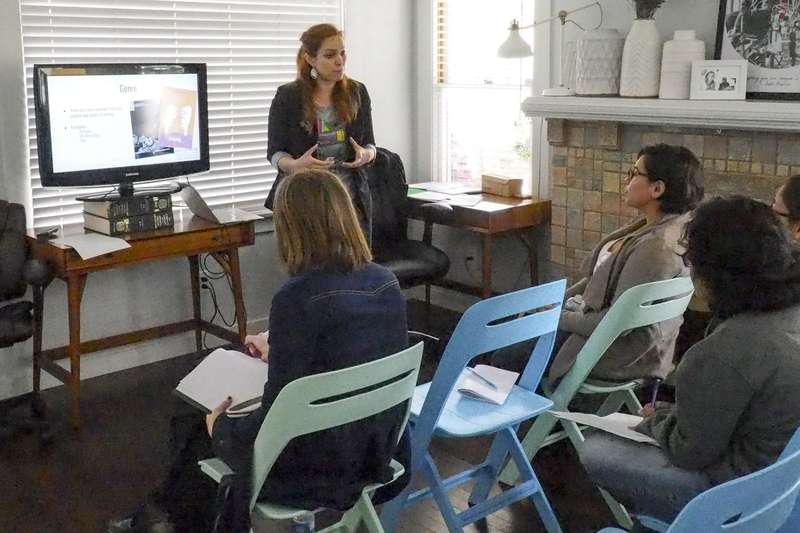 The workshop is designed to provide WriteGirl mentees with resources and hands-on experience in submitting their work, from searching for journals and writing cover letters, to setting up a Submittable account. This year, we extended our workshop not only to juniors and seniors in the program, but also to WriteGirl mentee alums. Our small, focused group allowed for more one-on-one time with the attendees and gave us the opportunity for more hands-on engagement. We began with a fifteen-minute writing exercise based on our “Happily Ever After” flash writing prompt. Girls got the chance to share their work and their favorite genres. 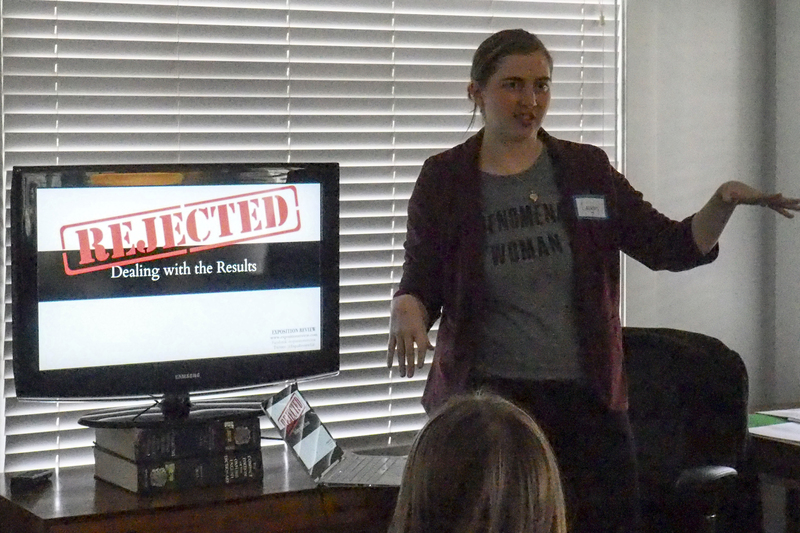 Lauren Gorski, Co-Editor-in-Chief, on rejection. Laura Rensing, Managing Editor, talks genre. Jessica Rowe, Co-Editor-in-Chief, shares the truth about knowing when a piece is ready. Afterwards, we jumped into our presentation. 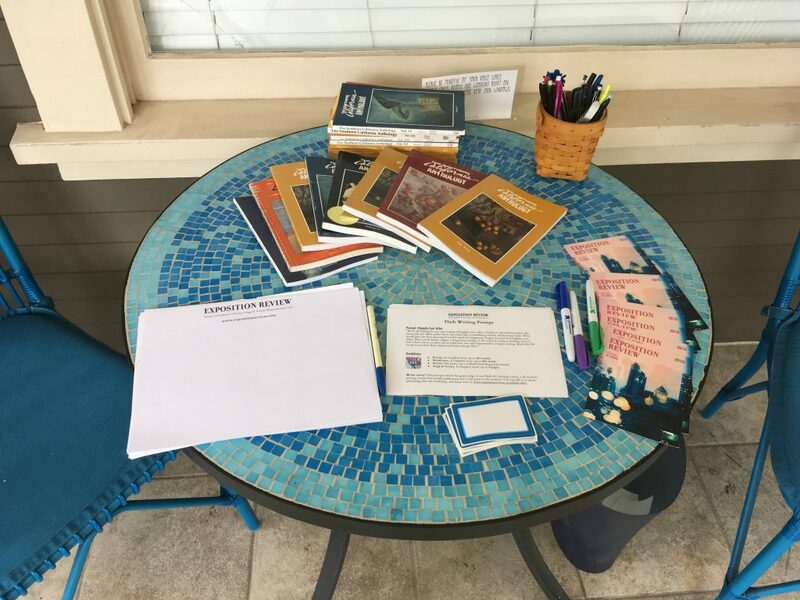 We shared popular resources for how to find literary journals right for your work (such as Poets & Writers or The Review Review) as well as tips on featuring your work on your resume and portfolio. Editors shared the realities of rejection, and ultimately the message that you just have to keep writing and submitting! Finally, everyone was able to explore Submittable and set up their own accounts to get started. 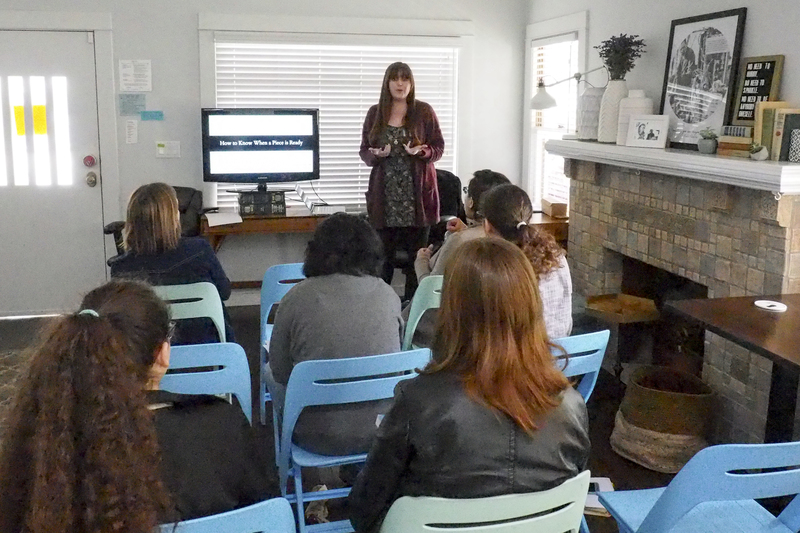 Our WriteGirl workshop is one of our most rewarding highlights of the year. It is an honor and an inspiration to see these young writers at the beginning of their careers, and to provide a roadmap based on our own experiences. The WriteGirl mentees are also invited to submit to our annual issue, and we love making a new writer’s dreams come true with their first publications. In our Orbit issue, we published “The Impermanent Scar” by Cira Davis, and “Numbers” by Drew Shinozaki, which we nominated for the PEN/Robert J. Dau Short Story Prize for Emerging Writers. Look for more contributions from our WriteGirl contributors in our upcoming issue, Wonder, and follow us on Twitter, Facebook, or Instagram to learn more about our #ExpoPresents events!